Inherited a house full of needed repairs and clutter? Tired of your rental but you need to kick out your tenants and put $5,000 or more into it to fix it? Tired of your financial situation and don’t want to deal with listing it? 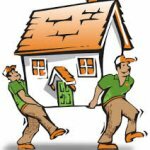 Need to move in a week? Any situation like those above can keep you from listing with an agent. It’s true, that most people are going to use a Realtor to sell their house. But what about those who just can’t go through all that hassle for whatever reason? Luckily for those, there is another option with a company called “We Buy Houses In Arizona” who buy houses in Tucson on the spot with cash and in the as-is condition. But what makes us different from a real estate agent? With an agent, you’ll have to pay anywhere from $5,000 to $20,000 to repair the house and bring it up to a move in ready condition…. buyers walk away from houses with the slightest need of repairs. With an agent, you’ll have to wait 3-6 months to sell your house in AZ. With an agent, you’ll have to deal with buyer-after-buyer going through your house. With an agent, you’ll have to risk your buyer falling out of the deal. With an agent, you’ll have to clean up the property before every open house and appointment. Some can’t afford to go through all those hassles. So, that’s why we’ve come up with our unique buying program that gets you out of your situation and cash in your hand in 5 days. After 5 days you can walk away from your stress, and relax and celebrate an easy win at Cafe Poca Cosa! We buy houses in Tucson, AZ despite the condition… As-Is… let us take over the burden of that unwanted property. Selling your Tucson, AZ home shouldn’t be difficult. “We Buy Houses In Arizona“makes it easy and convenient for you. We will assess your property and situation and make you a fair cash offer for your home. The Guaranteed and Easy Way To Sell A Tucson Property Fast! You will be signing a contract that binds you to that agent for 6 months. This can tie your home up. What if you find a buyer yourself? What if the buyer pulls us from the deal at the last second? What if their bank loan falls through? The real estate agent will give you piles of paperwork to sign, shuffling the paperwork back and forth from the buyer to the agent and then to you….and back. It can all add stress, months to the process. We pay fast cash for your Tucson, AZ property home! No need for real estate agents and their fees and the Realtor parade of continuous showings at all hours of the day. As a local resident myself, I’m passionate about this area! I help beautify our neighborhoods and help homeowners out of sticky house situations. I have been helping Tucson house owners with real estate issues since 2010. If you need to sell your Tucson house fast, I can make you a fair all-cash offer today. The sale of your Tucson, AZ home can help you achieve that. We do ALL the work and we will clean up after you. Leave those unwanted items behind and we will take care of it. We make it easy and hassle free for you. We pay cash for homes in Tucson, AZ and we close on your house in as little as 5 days from the date you contact us or when it’s convenient for you.